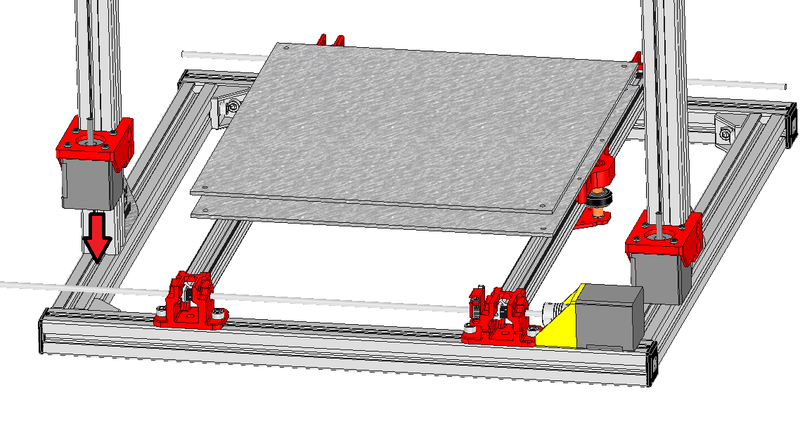 here is a view of the machine once assembled and the heat bed on it. Note the ‘ »Front » and the ‘ »Back » side of the machine. 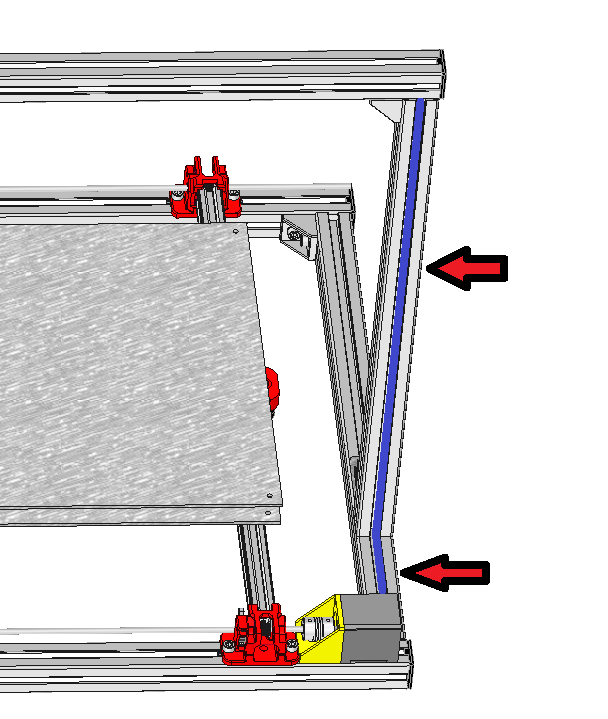 If you haven’t done it yet, here the part of the procedure that will help you assemble the motor on your heat bed. 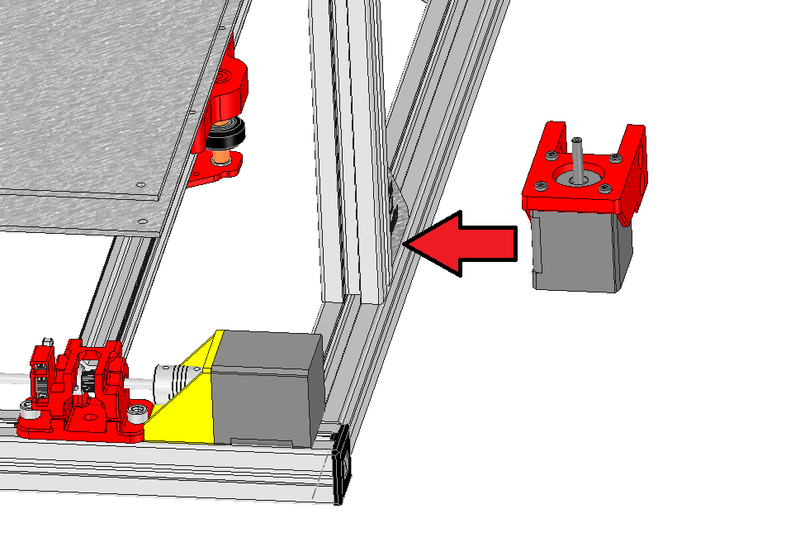 The M3x8 screws will help you to hold the motor in place. 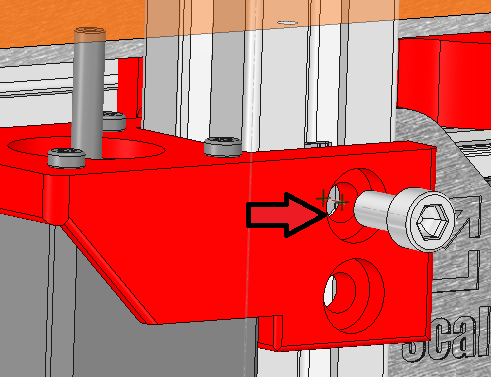 Note the slots that will help you to adjust the position of the motor. 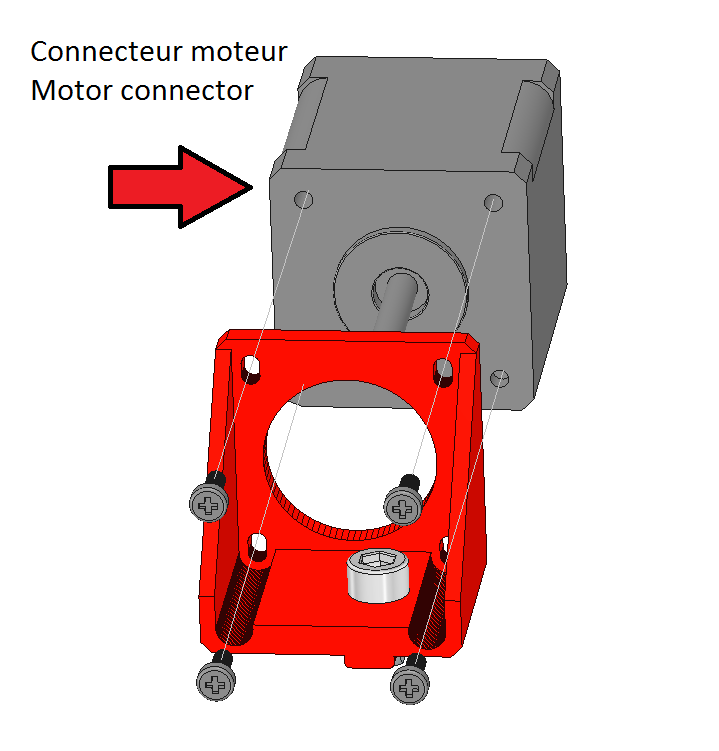 The best is to align the motor with the bottom of the plastic part. 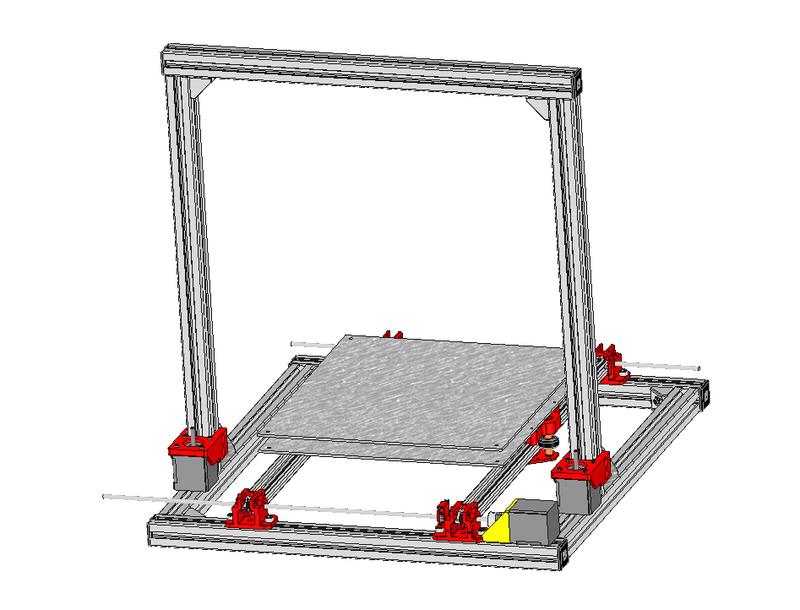 The goal here is that the stepper motor will touch the aluminium chassis once this part is installed on the chassis. 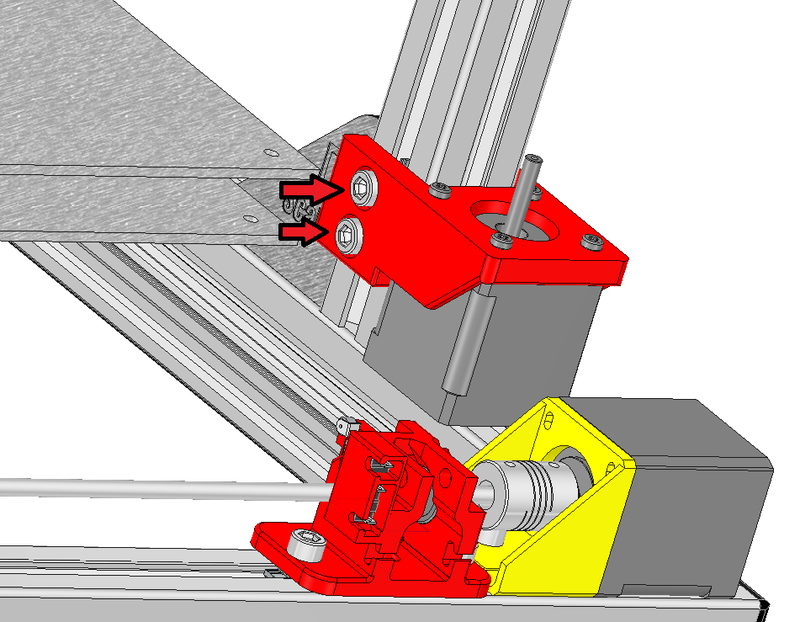 Note the location of the motor wire connector on the left! 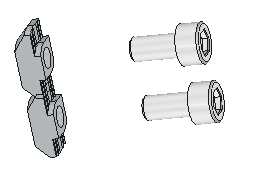 Prepare the coupler on the motor shaft. Keep it free for now. 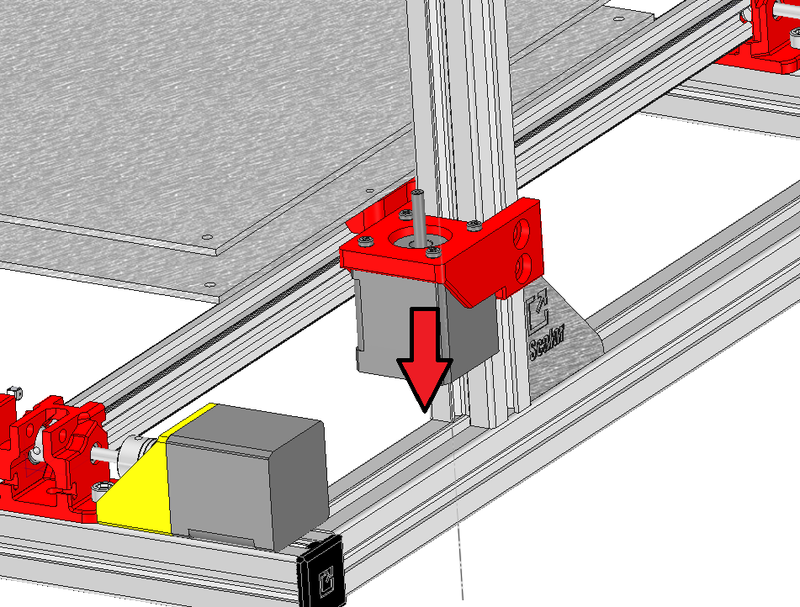 Approach the block to the back of the printer ad align the motor shaft with the smooth rod shaft of the bed. 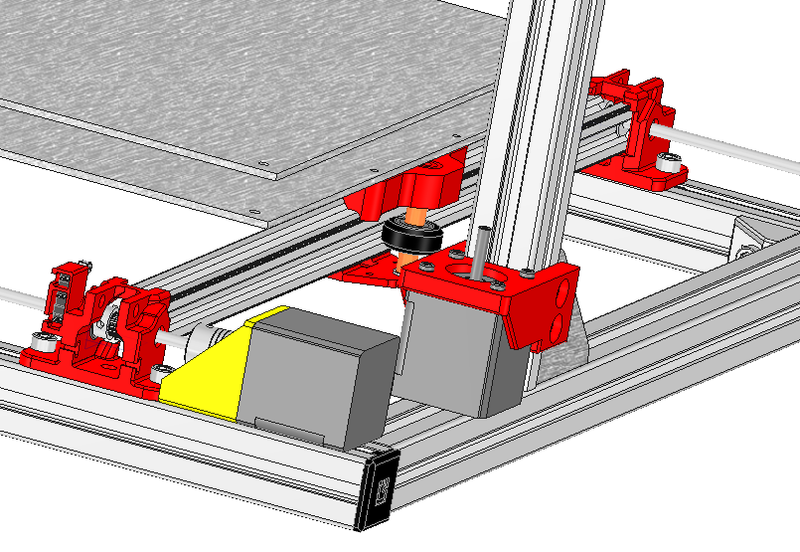 Secure the block using the M6x12mm screw and move the coupler so that it’s in the middle of both motor and bed shafts. 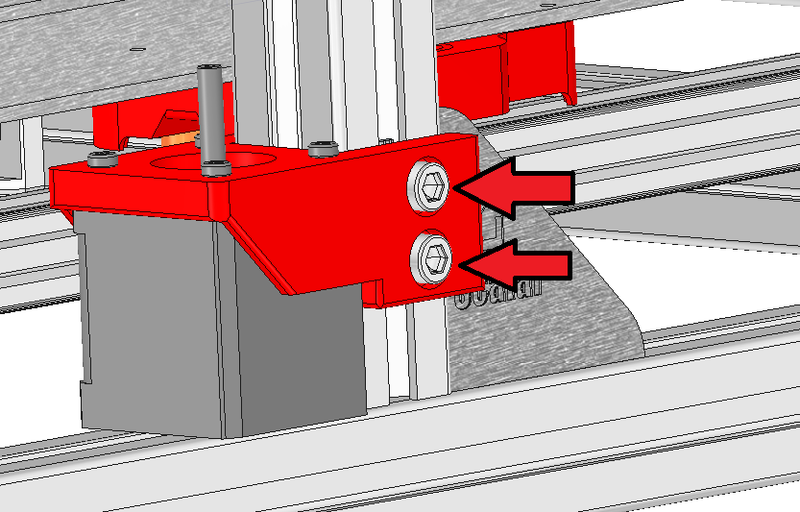 You can then tighten the coupler. 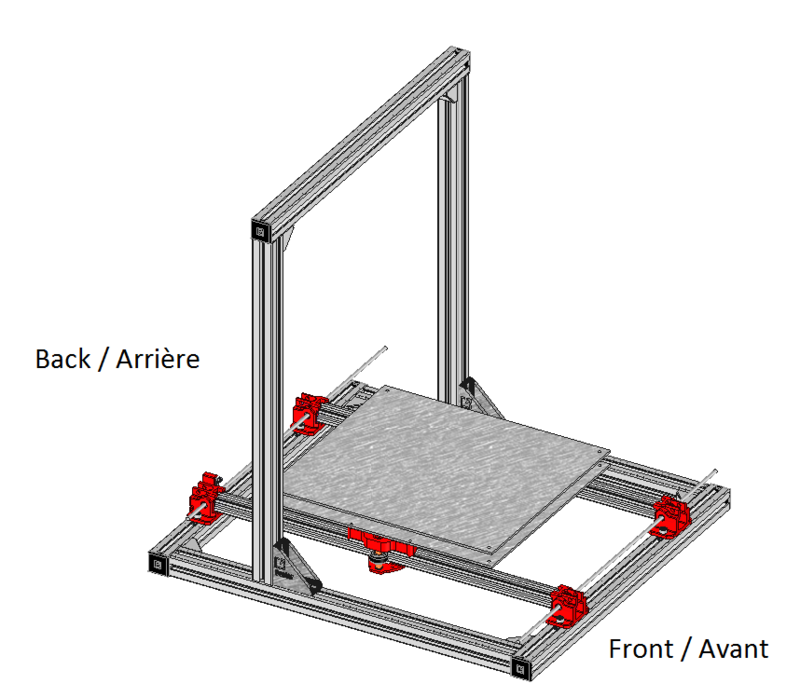 On this machine architecture the wiring is to be prepared during the early stage of the assembly. 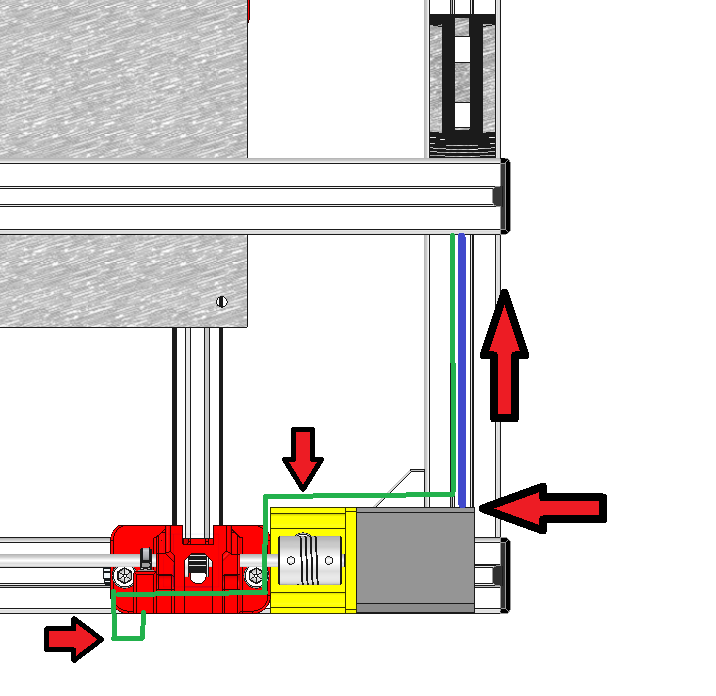 In green you have the Y Axis end stop wire path. 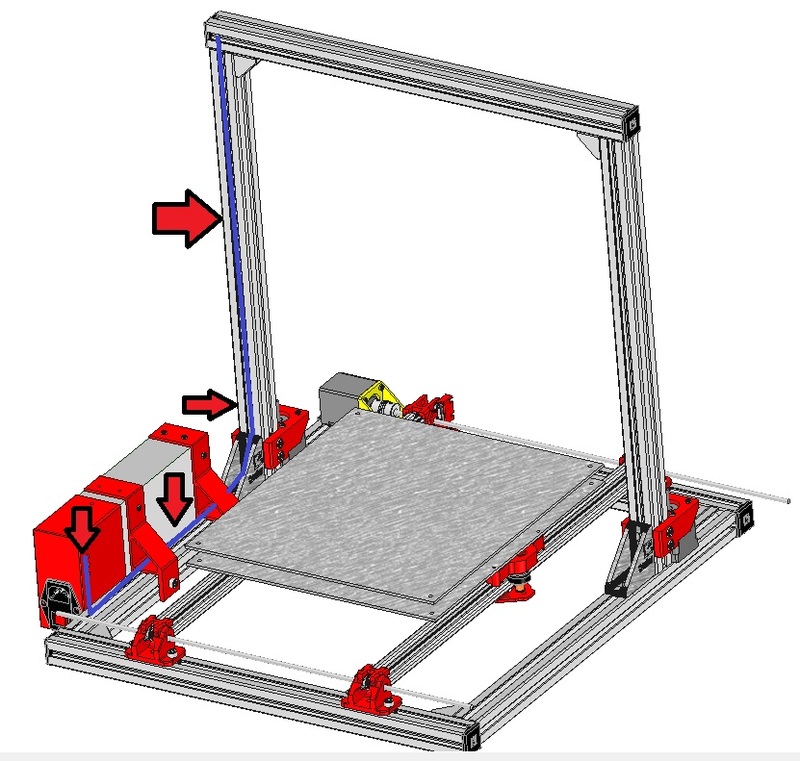 In blue the one for the Y Axis motor. 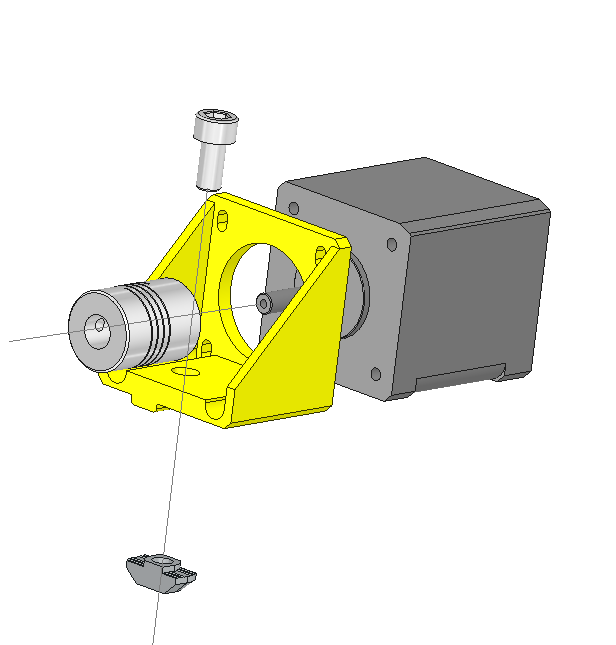 The motor connector is placed here toward the top of the picture in order to maximise the length of the wire. 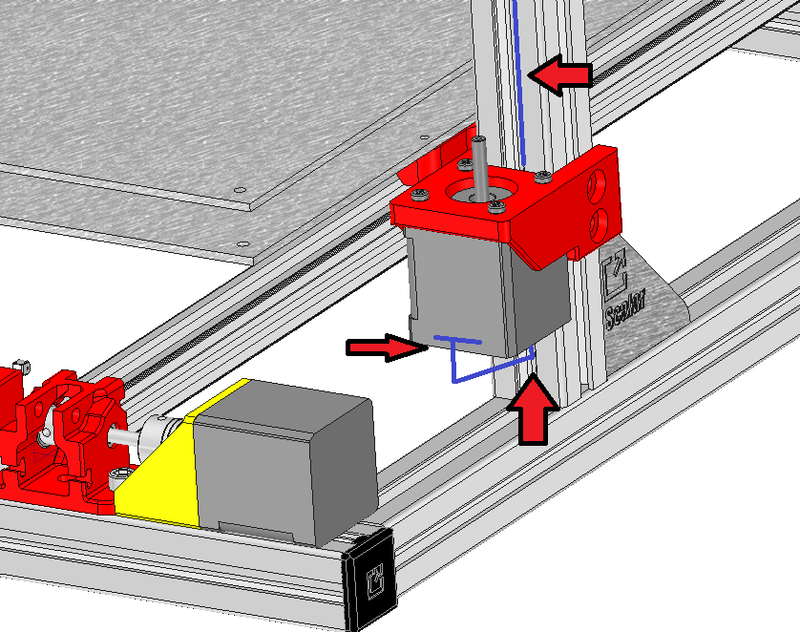 Wires then goes inside the Z Axis extrusion profile grooves. 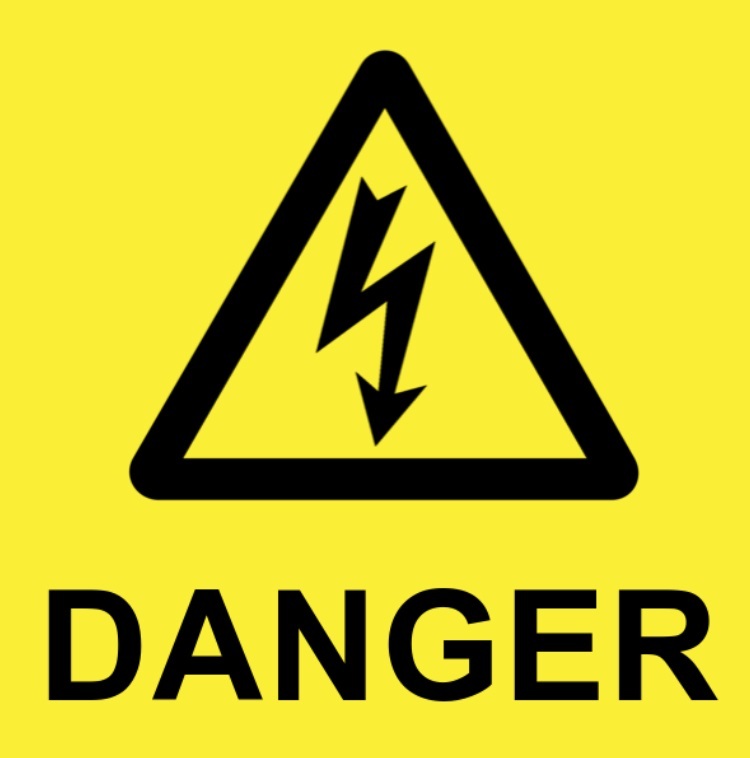 The wire path is indicated here by the 2 arrows and the blue line. 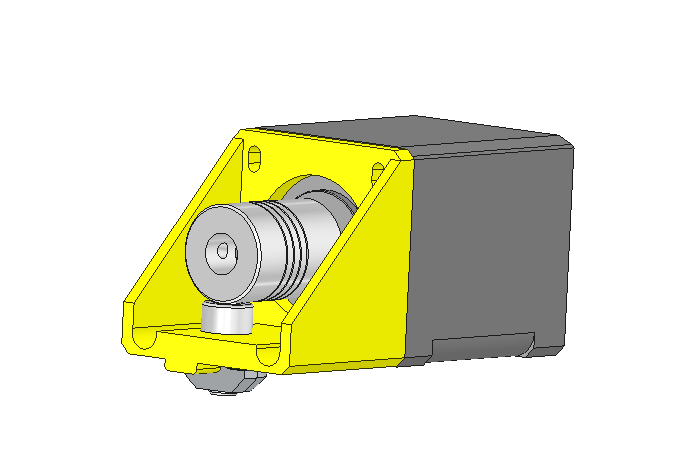 Note the location of the motor connector here. 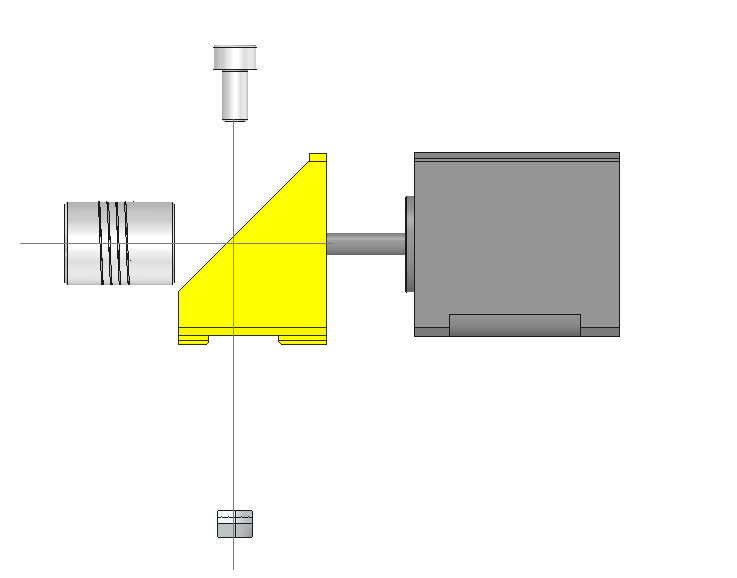 This block in to be inserted at the back of the chassis, at the base of the Z axis extrusion profile. 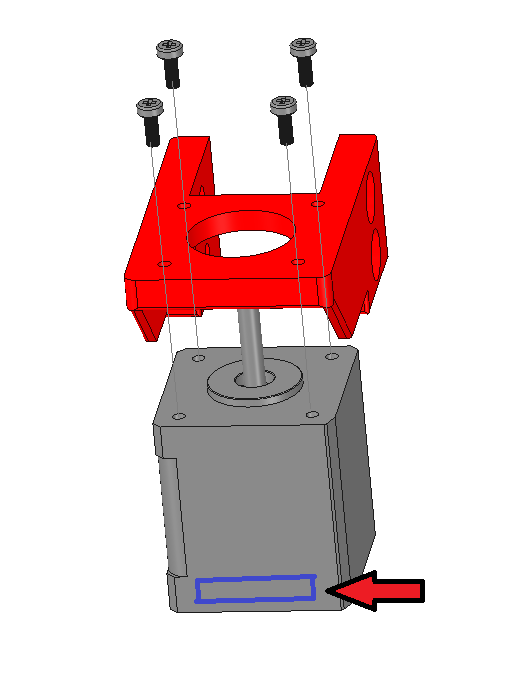 Place it high enough so that you can insert the motor wires between the motor and the extrusion profile. 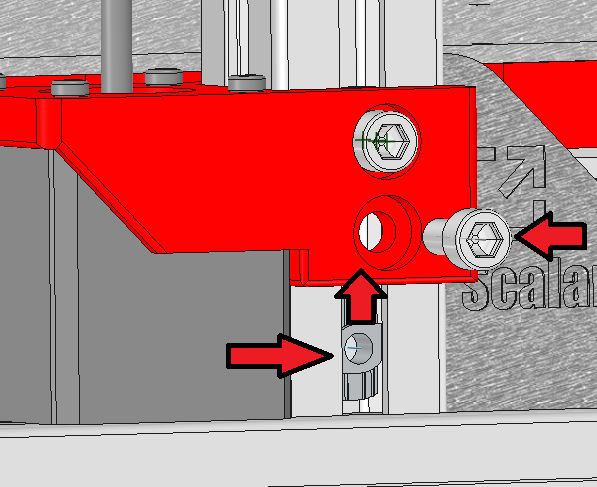 Once in place you can move the block all the way down. 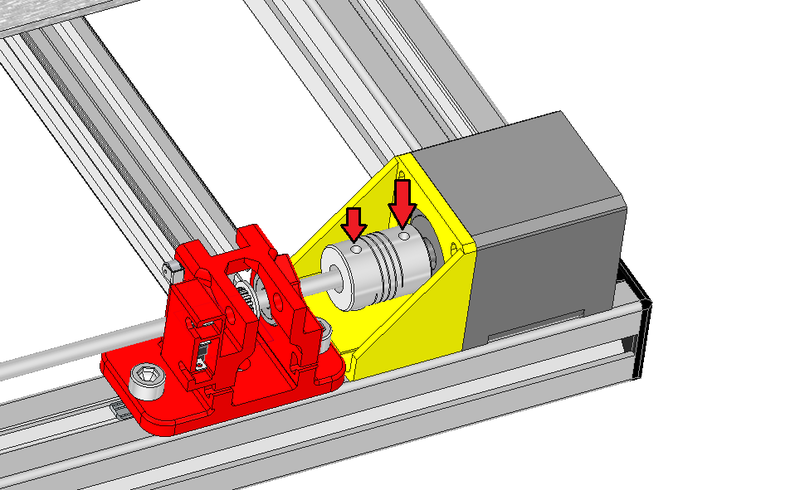 The base of the motor must lay flat on the extrusion profiles. once in place you should have something similar. 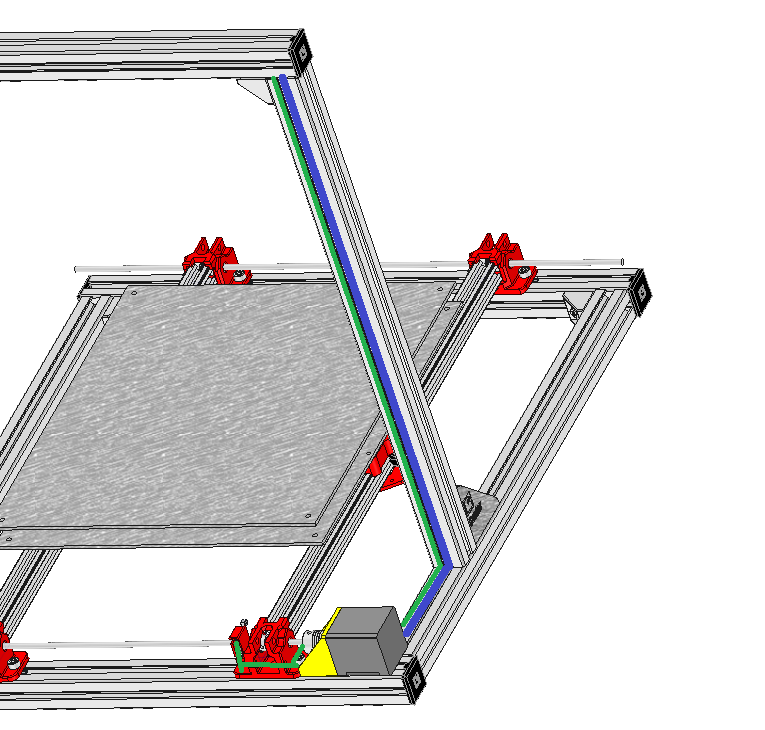 The next step is to screw the blocs in place. 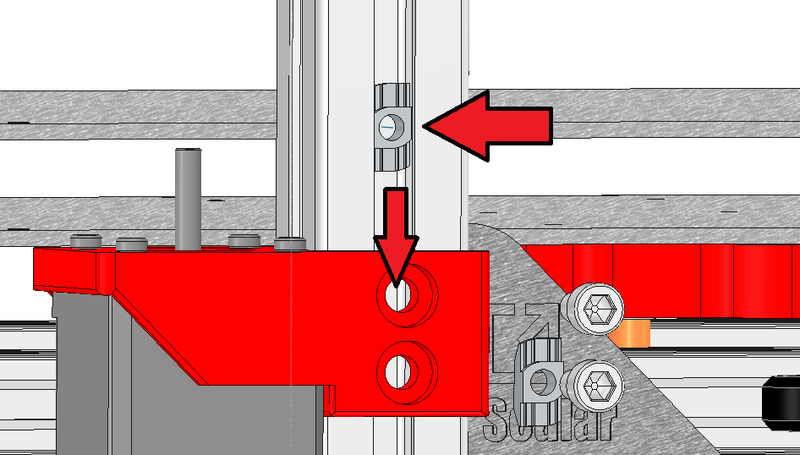 Start with a Tnut and insert it inside the extrusion groove from the top. 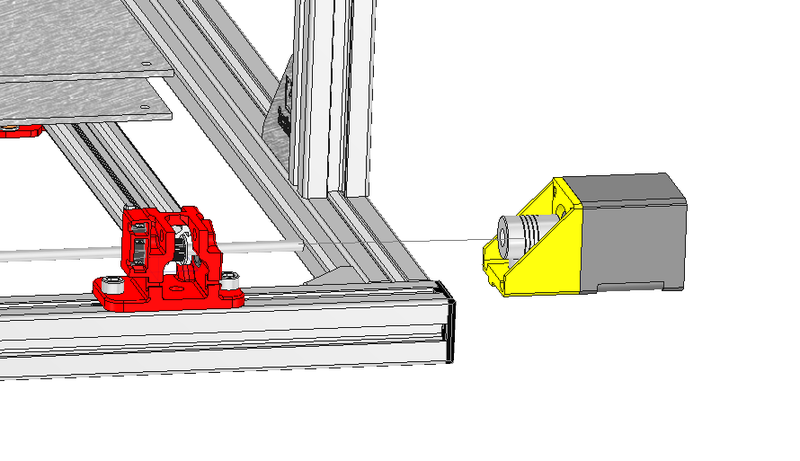 Then use a M6x12mm screw to hold everything together. 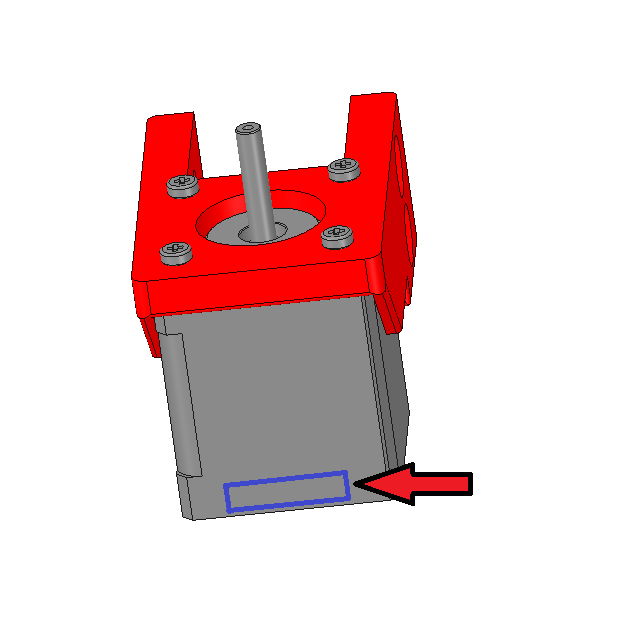 The base of the motor must lay flat on the extrusion profile. Otherwise you might have some Z wobble.